Why choose Purdue CS for grad school? For the summer of 2019 the GoBoiler internship program targets European undergraduate students with specialization in computing. Students who are interested in research and curious about graduate studies at Purdue in Computer Science will benefit most from this opportunity. 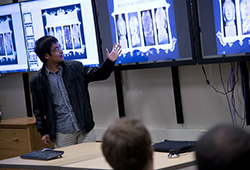 Interns will be working closely with a Purdue research team on cutting-edge projects. They will be involved in the day to day life of a research lab and get to take part in all aspects of CS research. They will also enjoy opportunities to socialize with graduate students and explore Indiana in the Summer. Purdue will cover up to $2000 in eligible travel costs, provide housing, and pay a stipend of up to $2000 to help defray expenses. The duration of the internship is expected to be eight weeks during the August 1, 2019 - September 30, 2019 timeframe. Travel and stipend funds will be proportional to the number of weeks spent at Purdue, with eight weeks required for the full 100% payment. Housing costs outside this time frame must be covered by the student. 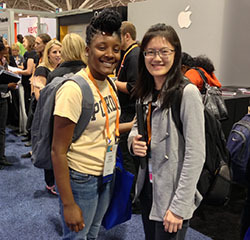 This internship program is designed to strengthen Purdue's computer science relationships and form new partnerships throughout our global community. An internship brings many benefits: advancement of professional skills, collaborations with top researchers, and exposure to a new language and culture. Everything is done to give students a taste for an international scientific environment and hopefully, they may come back to Purdue to undertake a PhD or postdoctoral research. Some potential projects. The deadline for applications is April 1. Notification of acceptance will be sent by May 1. To apply, send all of the following materials electronically to grad-info@cs.purdue.edu. Describe any other relevant background related to your research preparedness. Please limit your letter to two pages (no smaller than 11pt font and 1.5 line spacing). Do not send the reference letter yourself. Purdue will contact your faculty reference directly.